It doesn't affect the plumbing of the canister because you only have to disconnect one hose when doing the conversion and you replace that with the one shown from the intake pipe. To be honest most people take it out. I will be taking mine out when I get a catch can. They aren't really that important but you need to have one to pass the pits and you can get stickered for not having one. *** ADDED NOTE *** There is a couple of hoses I blocked off when doing the conversion that I will get pictures of. I copied the plumbing of a vlct and if you have a vlt plenum there will be a hose for the cruise control unit that you should block off. Yeah can get confusing because of those other bolts in the side. But the best way to tell is the oil drain hole, it is pretty distinctive. And nah you don't have to take the engine out or anything like that. When do you plan on doing the conversion? ah ok always good to be on the safe side. All turbo conversions, custom intercooling..
why is the timing set fully retarded? small probably apparently the actuator is busted any ideas where to get one? or missing bolts or anything? Last edited by malpaso; 09-05-09 at 18:10.
ask around for a actuator im sure someone here has got a spare or maybe try buy a t3 that needs a rebuild and take its actuator. How did you go with the gaskets? so what i did is cut the actuator from the bracket is pressed/welded too track down random actuator in my case off a saab cost $7 then drill out the two holes for the bolts of the actuator cut the rod to ur desired length and all good. do you guys do skids n stuff in your converts? Which gauges do you mean? So you're pretty much ready then? My gearbox has held up since I did my conversion. It's getting replaced very soon though with a power glide, but it's one of those things where you might need some luck on your side. Try get rid of your n/a gearbox. If you want to buy a vlt gearbox and are planning future mods you may as well just save up and buy a decent keas or something because the vlt ones are better then the n/a, but still not fantastic. For gauges I just got some cheapies to start out with and tee'd it off in the vacuum line. Tacho has been on the car since I bought it, just a crapy speco one but it does the job. I have a oil pressure gauge which I haven't bothered to wire up yet. ohok type of gasket glue? it has a stock rb30e with recond head. 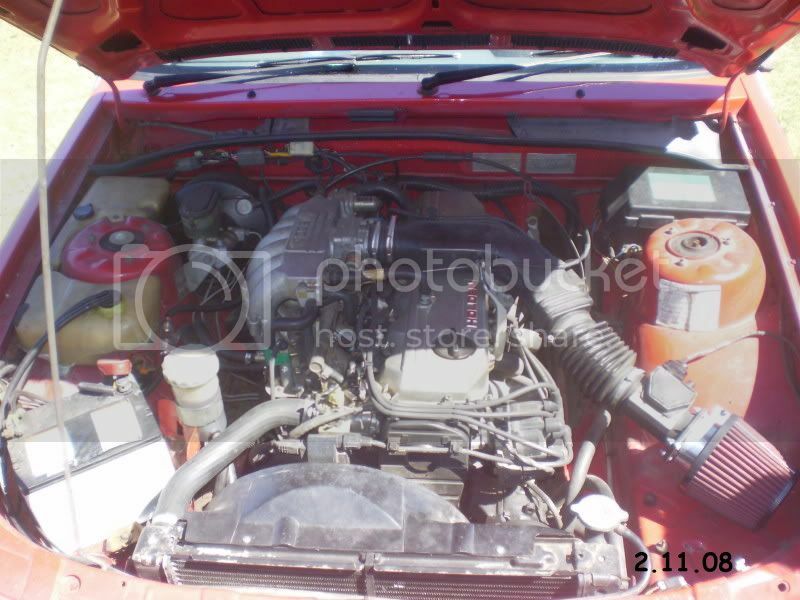 would this engine b ok for turbo conversion? 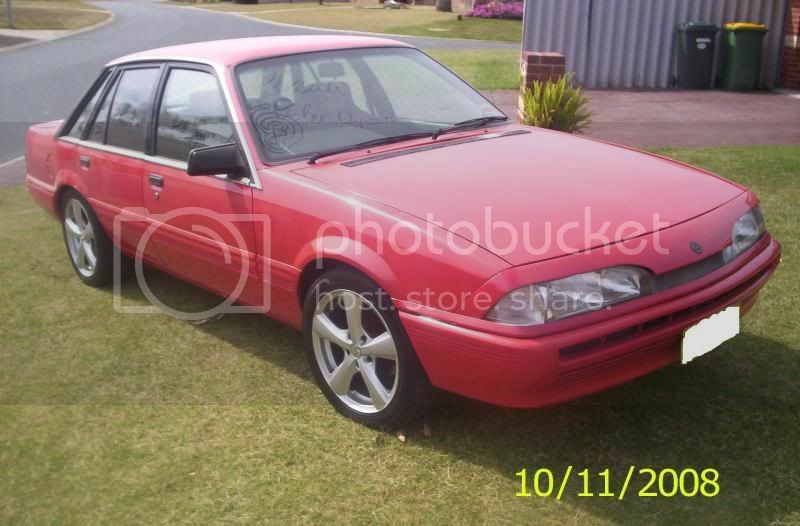 i will b getting my P's at chrissie, and would like to put a turbo on my car before then. 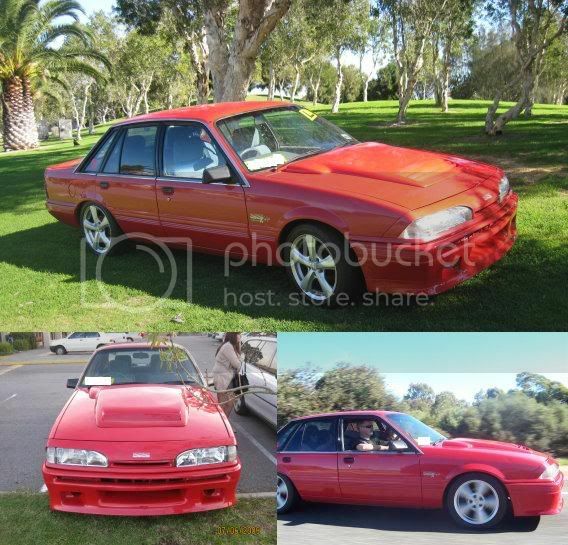 if any1 can give me detail on where (around perth perferably)they bought there conversion kit and prices? wud really appreciate it! when got it 4 my 16th bday "SO WRAPPED"
i love it so much and am goin to look after it the best i possibly can. have had the car for 6 months now and have changed it quiet a bit. spent $4,500 (WORKED HARD 4 THAT) at woollies! hey mate, do u know what series the car is? 1 or 2? 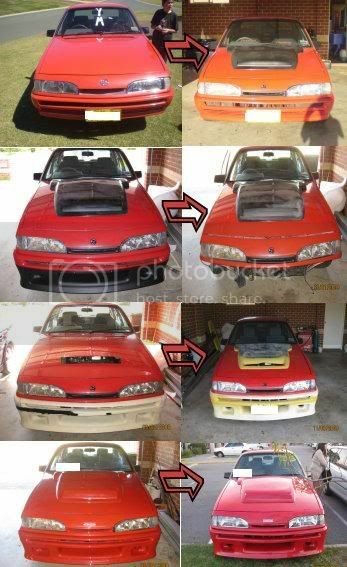 dunno if there's any places that sell kits, but if u look in the WA section there's often guys flogging off their old turbo conversions etc.